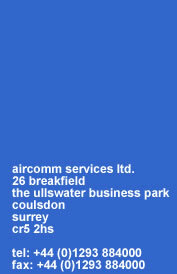 Aircomm Services Limited provide an extensive range of air-conditioning products that are both user-friendly and energy efficient. From individual air-conditioning units for residential homes to complete air-conditioning systems for commercial or industrial buildings, we can create the ideal indoor climate. Our products include VRV and DX systems which offer a sophisticated solution for small or large buildings as well as wall or ceiling mounted installations and floor standing units for ease of use.